Collections>Rekord 925>Silver and gold bracelet with 12 black spinels and black kevlar cord. 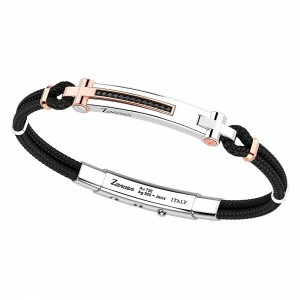 Home > Collections>Rekord 925>Silver and gold bracelet with 12 black spinels and black kevlar cord. 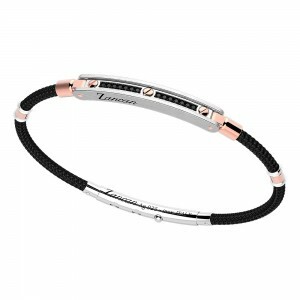 Silver and gold bracelet with 12 black spinels and black kevlar cord. 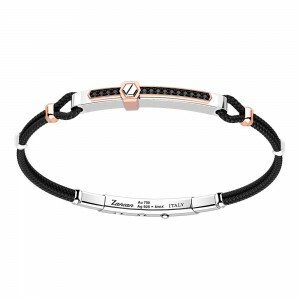 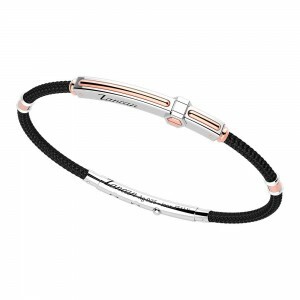 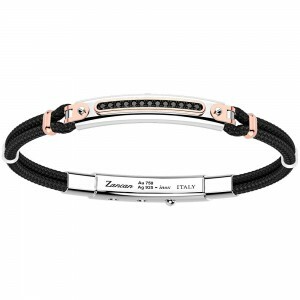 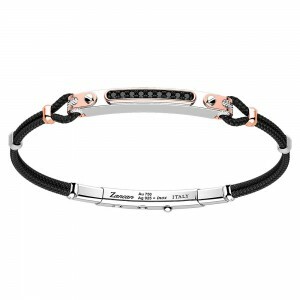 Men's bracelet with central element in 925 silver, rose gold and natural black spinels set in rail. 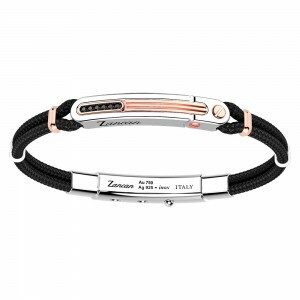 The black kevlar cords are held together by two silver loops. 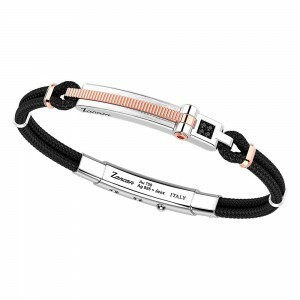 The hypoallergenic steel tubular closure is adjustable in three positions. 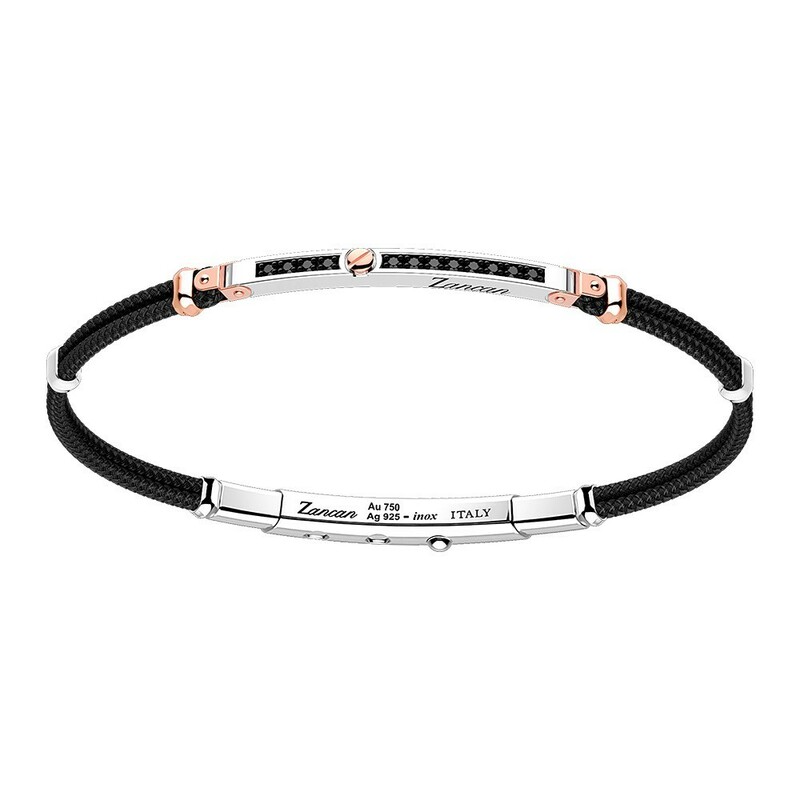 Accessory of refined craftsmanship, essential to accompany your every occasion with taste. 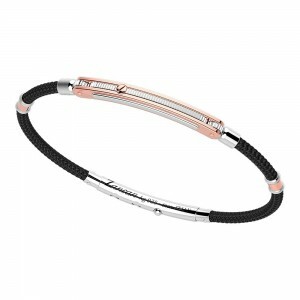 Silver and gold men's bracelet.